Check out the Sea of Thieves community on Discord - hang out with 65,282 other members and enjoy free voice and text chat. Weooo finally an official Discord!! Also welcome to the crew @Taydoge-Swift, can’t wait to see your memes of us! Congrats @Taydoge-Swift another well earnt position... all the hard work paid off! is this the Monday announcement? May the Meme&apos;s be forever in your favour. Congratulations on making Deckhand status man! Super cool! You’ll do great! Welcome to our merry band of misfits @Taydoge-Swift! And to all, welcome to another section of our community in the new official Discord! And Huzzah for the Official Sea of Thieves Discord!!! @m-strit Hope not as it does not seem worth keeping secret nothing special. Already in more than enough discord groups. Another fine addition to our ranks! @Taydoge-Swift - Welcome aboard Matey! Welcome aboard @Taydoge-Swift!!! We&apos;re happy to have you with us. @katttruewalker Such a shame that as I&apos;ve previously stated Discord is inaccessible to users of assistive technology, specifically screen readers. Glad to see that the community is going well regardless though. Im a bit late to the Discord suggestion party but can you please add Rich Presence for SoT? How do I get an invite to the discord group? 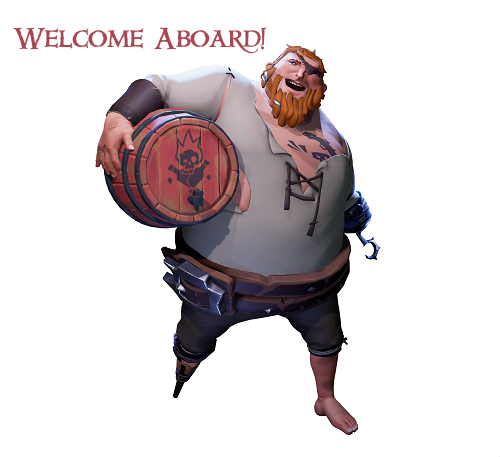 All you need to do is visit discord.gg/seaofthieves and you should be good to go.